The SIKA REFRACTORIES was founded in February 1999 as a limited company specialising in refractory construction. 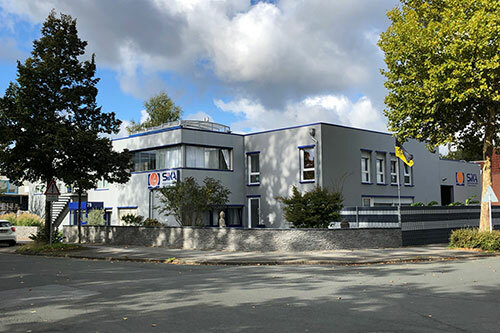 Since then, the company has been constantly evolving, especially with regard to the improvement of application techniques and drying methods for monolithic components. We make the customer the focus of our thinking and our activities. Our top priority is to keep your production lines operational. We enjoy working with you to find the right design solution for your problems. Our range of services covers not merely advice, planning and engineering, but also complete relining and commissioning as well as the care, maintenance and repair of all plant, transfer vessels and heat treatment facilities. We are also happy to give guidance on the best storage methods for your refractory products. We have worked in many industrial sectors and have recently set up a network of relationships with competent and reliable partner companies in order to offer our clients a wider product range, reduced downtime and a full-line-service catering for clients’ specific needs. It means we are well placed to carry out steel construction and dismantling and to make best use of relevant synergies to bring costs down. We are also able to perform UVV (health & safety) main tests on casting ladles as per BGI 601, and we provide the highest possible problem-solving skills in adjacent and related areas of work. In 2014 we established a framework for the production of fibre-reinforced modules in order to speed up delivery and assembly. With the introduction of the “Feuerfestbörse” (Refractories Exchange), we want to contribute to the best possible ecological and economic use of material resources, and at the same time significantly reduce specific costs. With the scientific support and cooperation of the universities, SIKA continues to make progress in recycling and updating refractory products using the highest quality raw materials. We offer all services and trade work within the refractory sector, as well as fire-resistant products of all grades and specifications, in shaped and unshaped form. 24 hour customer service and quick response times are a matter of course for us, bearing in mind your need for uninterrupted production lines. Total reliability, a high degree of flexibility, as well as short and transparent communication channels are basic to our corporate vision. Highly skilled professionals and a comprehensive range of machinery and equipment are your guarantee of top quality performance. We would be delighted to discuss your detailed, company-specific questions with you.